Whereabouts Holidays has partnered with Endsleigh to develop a bespoke insurance policy that is specifically designed for you while partaking on our tours. We are working together to ensure you have adequate insurance for your tour and to provide complete peace of mind. The policy is available to UK and Non UK residents and will cover trips in the UK, Europe and Worldwide. If you are in the process of booking a Whereabouts Holidays tour or have already booked you may want to consider what level of insurance protection you have in place in case the worst were to happen. 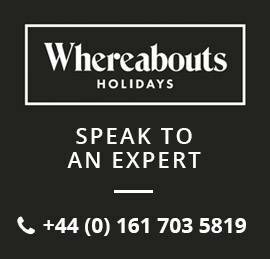 As a customer of Whereabouts Holidays we would always recommend you purchase adequate and fit for purpose travel insurance. We believe that enjoyment and safety are equally important when travelling with WhereaboutsHolidays, It is therefore one of our terms and conditions of booking that you have adequate travel insurance in place before you travel with us. To add insurance to your booking, please complete the Insurance Application Form and return it to us. We will then add insurance. Payment for insurance must be made at this point to be validated. You will be given the opportunity to add insurance to your package with us at the point of booking your tour, if however you wish to add the insurance at a later date please complete the below application form and email it to info@whereaboutsholidays.co.uk. Before booking the Whereabouts Holidays policy we recommend that you read the following documents so you understand the full details of the benefits and benefits and exclusions that apply to the policy.